I’ve been posting an annual ‘best of’ list for a few years now – this is the fifth run through. I can honestly say that this is the easiest year by far. That isn’t a reflection on the scarcity of good material. Rather, the ten albums listed below stand head and shoulders out there as rock-solid. They would make a list in any year. And, in picking my top album of the year, I truly believe that this is a future classic-in-the-making. 2014 belonged to Future Islands. From an arresting network TV debut by way of Letterman, through to a single that has been almost universally hailed as the best of the year in ‘Seasons’ (even Bono has lauded it a ‘miracle’), there are few times where a band can truly look back at a year and say ‘yep, we pretty much nailed that one’. 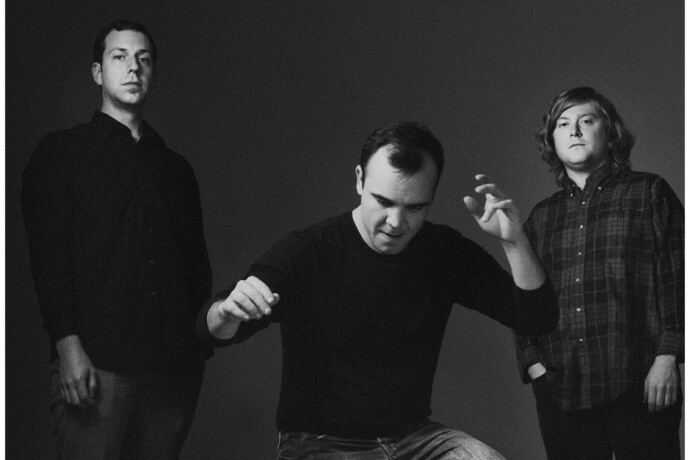 And, for Future Islands, the crowning achievement of 2014 has to be ‘Singles’. For an album to contain an almost perfect pop song of the caliber of ‘Seasons’, is one thing – for that single to jostle with at least four or five other tracks for the best song on the album is another thing entirely. From the first listen it was clear that ‘Singles’ was special – lyrically honest, with the bass hook of classic New Order and an 80s synth sound brought somehow implausibly to life through a contemporary sheen. Whatever the digital equivalent of wearing out your vinyl is, I’ve done it. ‘Singles’ is an absolute wonder, and is beyond doubt my pick of the year. It may not be the most adventurous album ever – and yes, it may park itself pretty much squarely in the middle-ground between all of Damon Albarn’s myriad other musical outings. But, is this such a bad thing? I’d say not – especially when the execution is as bang-on as it is here. It’s a dark ride at times, but it’s a ride that is well worth taking. Lovely. An early release from 2014, and one which should have made more ‘best of ‘lists. Until Future Islands came along, this was knocking on the door of topping the year for me. A few years ago, I explained that Warpaint were like the Cocteau Twins with stones. With ‘Warpaint’, they went deeper, creating a landscape that was at once ethereal and urgent. As an album, this is most definitely not Elbow’s finest hour… but it contains some truly astonishing work. In ‘Charge’ and ‘My Sad Captains’ Elbow crafted tunes that stack up against the impressive older back catalogue. It’s an album of clever songs, without being ‘clever, clever’. I can’t help but feel that there’s a certain personal connection with Elbow songs – call it the lyrical subtext of distance from home, and the welcoming embrace of family. With ‘New York Morning’ a further dimension was added. There’s life in this beast, yet. In which a street-soul-diva delivers a set for indie ears. For me, Kelis owned the summer. There’s just nothing to not love about this. ‘I need ice cold water’ – I’m sure you do, love. And the rest of us. Here we go – my top ten entry that will likely baffle most people. As an album, this divided opinion. For my money, it’s a set where one of the finest songwriters of a generation pushed himself to challenge his audience. The results were staggering. Welcome back, Sir. Keep doing this, and we’ll all be just fine. Thanks, James. At times harrowing in its honesty, but never anything short of remarkable. This was a major step forward for a true talent. You can practically hear the bursting confidence giving rise to a set of more expansive songs than before. For me this was a bit of a slow burn. Once the fire sparked, I found it hard to listen to anything else for days on end. Call it what you want, but this particular blend of weird art rock was delivered by a pop music heroine. She’s getting better. I didn’t think that was possible. ‘Careful You’ is not a song that you’d expect from a band who have said a tragic farewell. It is, however, typical of ‘Seeds’. Making a comeback sound like a natural progression, and dealing with sorrow by making one of the most uplifting albums of the year. I’ll have some of that. And, there we go. The 2014 list is done. Looking forward to 2015 there’s already strong promise from Jez Kerr, The Charlatans, a buoyant Paul Weller, the prospect of a return from Michael Head, an always-on-form Gaz Coombes, and the latest from Public Service Broadcasting.